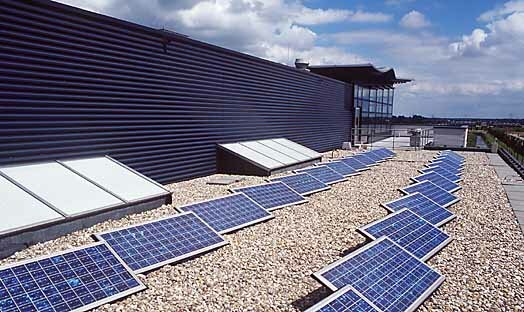 Summary The Stichting Woonbelangen Woerden has placed solar panels of the flat roof of the third floor. The solar panels are assembled to separate synthetic consoles by Ecofys, since this floor might be expanded. The consoles are made heavier with concrete tiles. This project is a practical experiment. It is the first project that uses the Ecofys consoles. The console’s weatherproof-ness is one of the examined criteria.